The new European Parliament was elected in May, but the formation of the new Commission – the EU’s civil service and where legislation originates – is still going on. And, in case you are wondering, there is still time to write to your Member of the European Parliament (MEP) about the characteristics you’d like to see in the panel of Commissioners. Next week (29 September), the oral hearings start in the European Parliament Committees. 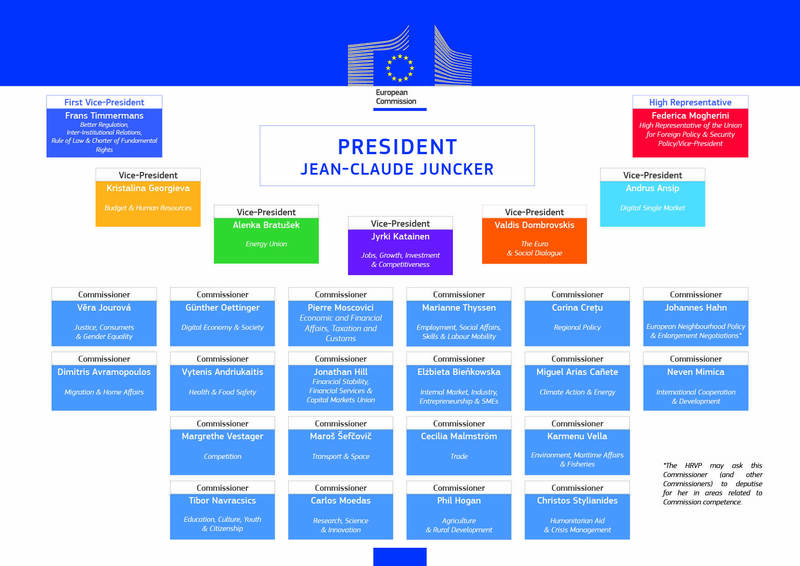 The new structure of the Commission, outlined in our recently updated briefing paper is one in which a flat structure has been transformed into one with seven Commissioners (five vice-presidents, one first vice-president, and a High Representative) supervising the other 21. Commissioners are nominated by their EU Member State, although they are not expected to represent the interests of that state but to manage a thematic portfolio at the Commission. Most are politicians – former foreign ministers and prime ministers. This means that most are not greatly experienced in the field which they now hope to oversee. The idea may be that they have a fresh approach, but it can also make the Commissioners very susceptible to advice from lobbyists and advisers, prompting concerns about potential conflicts of interest. The nominated Commissioners are also busy hiring their staff. Two – Joruvá, who should have responsibility for justice, consumers and gender equality and Andriukaitis, overseeing health and food safety – have hired staff with experience in the Commission’s trade portfolio. This echoes Juncker’s economics-heavy structure. Competition is one Commissioner’s brief, employment and labour mobility part of another, economic and financial affairs and taxation a third, trade a fourth, financial services a fifth, digital economy a sixth, and industry and entrepreneurship a seventh. Justice now sits uncomfortably with ‘consumers’. In total, more than a third of the Commissioners have economic development aspects to their portfolios, and that is without including other portfolios which have clear economic facets, such as agriculture, regional policy, migration, and energy (which is grouped with climate action). Two of the major challenges facing the Commission are climate change and overuse of planetary resources. Neither of these has an individual voice in the Juncker Commission. Energy and climate action have been combined, and environment grouped with maritime affairs and fisheries. The aim may be to synthesise these perhaps conflicting portfolios. However, there are rightly fears that environmental and climate concerns will be forced to compete with the other, demanding dossiers. The issue is not only that there is no dedicated environment Commissioner for the first time in twenty-five years, but that the energy and climate candidate-Commissioner seems to have a considerable conflict of interest. 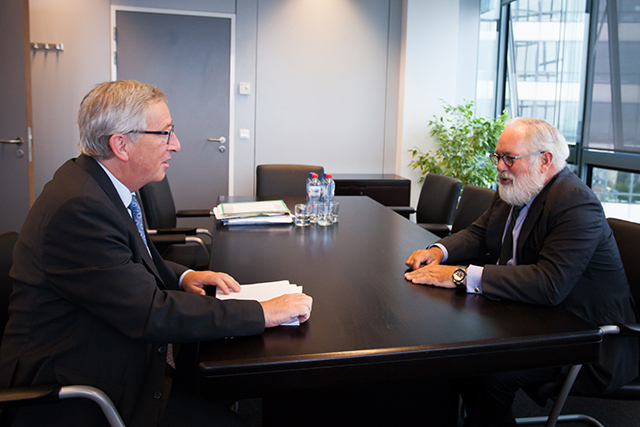 Miguel Arias Cañete, despite having sold his shares in two petroleum companies (both of which he was once president), has considerable family links to the oil industry and a background in conservative Spanish governments often opposed to climate protection measures. As an example, Cañete’s brother-in-law remains director of both the aforementioned companies, while his son serves on the board. His nomination has prompted an outcry from environmental groups and MEPs, fearing that the lack of any reference to the environment at vice-president level and Cañete’s nomination represents a “clear relegation of environmental issues in the order of political priorities”. Expect Cañete to face opposition at his hearing before the Industry, Research and Energy and Environment, Public Health and Food Safety Committees on the 1st October. So what happens next? At the hearings, the appropriate Parliamentary Committees will evaluate the Commissioners. Next, the panel of Commissioners proposed by the heads of Member States in the Council of the European Union goes to a plenary sitting of Parliament. The vote to approve (or not approve) is on the whole proposed panel of Commissioners: either they are all approved, or they are all rejected. This may make it less likely that objections to one or two Commissioners will be followed through. However, there is precedent for a candidate not making it through the hearings. In 2004 Rocco Buttiglione, after a parliamentary motion to refuse the Commission due to Buttiglione’s homophobic views, was withdrawn as a candidate (for Justice, Freedom and Security no less) before his name was taken to the plenary session. This motion (led by the current president of the European Parliament, Martin Schultz) displays that MEPs, if they work together, could force a rethink on Juncker’s Commission. One candidate-Commissioner (amongst a few) who may be disqualified at the hearings is Jonathan Hill, nominated for the Financial Stability, Financial Services & Capital Markets Union. He has considerable links to London high finance (the lobbying company he co-founded is used by the City of London Corporation) and is widely perceived as a choice designed to placate David Cameron after his opposition to Juncker as Commission president. It is for just that reason that MEPs may fear to attack him too strongly, as politics between Member States come into play. Since Hill was nominated by the United Kingdom, a considerable player in the Union but also one that needs to be appeased by Brussels in order to keep the UK on board, it might be “a nuclear option” to reject him. Whether Cañete’s position as Spain’s nominee will protect him is unclear. So, the question remains as to how the Parliamentary Committee hearings will pan out. Might they review the thrust of this restructure and call for the new economic system urgently needed? Or might their judgement encourage one or more candidates to withdraw and be replaced, while letting the rest of the structure be approved? The hearings will be online from next week, and the vote in the Parliament will take place on the 22nd October. If you want to act further on any of these issues, you could write to your MEP before the end of the hearings, or before the 22nd, letting them know how you think they should vote – for or against Juncker’s new-look commission.